With perhaps the exception of fire, home burglary is the biggest threat to our safety at home. Depending on where you live, government statistics show that a home burglary occurs every few seconds. While the exact number obviously varies, best estimates in the USA have burglaries occurring every 8 seconds. Unlike the stereotypical burglar we see in the media and movies, most home burglaries actually occur weekdays during work hours. This is for the simple and obvious reason that the burglar chooses the path of least possible resistance,and this includes picking a time when they are least likely to run into the homeowner. 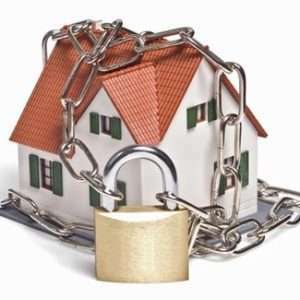 The majority of burglars are potentially dangerous however, should they run into the homeowner. It should be assumed that most of them would be armed in some way, albeit with a screwdriver or crowbar, and the majority of them (approximately 75%) of them use force to gain entry. A burglar, like any other violent criminal will utilize maximal force against what they perceive to be the weakest target. A house that appears to be a "hard target", will usually be bypassed for a more vulnerable easy pick. This is because most burglars are young males, under 30, looking for an easy score that they can convert into quick cash. In most cases, the drug trade is what fuels this, as the burglar is looking for valuables, TV equipment, DVD players, Laptops, etc., to convert into cash, which then is used to keep them a high for the day until the whole sordid cycle repeats itself again the next day, on yet another innocent victim. Burglars will choose the easiest, softest target in a home. Therefore it is a good idea to use a systematic approach in assessing your home's vulnerabilities, effectively turning liabilities into strengths. As mentioned before, there is no such thing in the "real world" as a burglar proof home, but that shouldn't preclude us from pursuing that value as if it were an absolute. Most burglars will typically spend less than a minute trying to gain entry and less than 3 minutes inside. The enemy of the burglar are, when you get down to it, two things: time and noticability. Time is a self explanatory natural enemy of the burglar. The longer that he has to work to get in, the safer you are, as the likelihood of him giving up increases by the minute. Every minute longer that he spends trying to get in, brings him closer to the second natural enemy of the burglar, noticability. Noticability comes in two forms: audibility and visibility. Anything that will cause the burglar to be seen or heard is an asset to you! 24 Tips To a More Secure Home! Survey your home, thinking like a would-be burglar. Try to assess things that are a threat to your time, audibility and visibility. Are there windows hidden by shrubs? Are there windows out of view from the neighbors? Are there doors or windows that back onto a ravine, where the criminal could easily exit? Are there valuables visible to anyone who might look in your windows? What doors and windows are the softest targets? If someone were to break a door or window, is it likely that it would not be heard by a neighbor? Are there ladders in your driveway or backyard that a criminal could use to access a vulnerable second floor window? Have a look at the locks on your doors, the length of the screws used to secure the hinges, and the screws used in the striker plates that the deadbolts rest in. You do have deadbolts on your doors, don't you? Quite often the screws uses are so short that they are really useless. For example, the place I am renting now is a small house. When I moved in, I found that the screws holding the deadbolt striker plate into the door frame were only 1/4" long, and the ones used to secure the door hinges were actually 1/2" long. My 70 year old mum could likely kick in the door! Needless to say, I replaced them with 3" screws. Securing the door frames themselves makes good sense. Mostly they are made of just cheap pine wood, and the force of a strong kick can easily split the frame. It is a good idea to put some of those three inch screws right into the door frame at 6 inch intervals as well. If you live in a high risk area, perhaps consider using a metal brace with staggered screw holes which is about 8-12" long, 1/8" thick, and 1 1/2" wide, screwed right onto the frame itself. That frame, isn't going anywhere! Consider the landscape around your home. Do shrubs and bushes conceal view of the doors and windows? If you have a small forest growing on your lawn, you are at a higher risk, as the foliage offers the burglar a measurable degree of concealment. Consider trimming the bushes back somewhat or instead taking extra steps to fortify your doors and windows. Doors and locks themselves should be of the highest quality. All exterior doors should be solid, metal core doors and at all costs, you should avoid buying those ornamental, decorative doors with the glass inserts. Those glass inserts, although they look nice, are usually just held in place with PVC vinyl. Use a quality deadbolt with a one inch bolt, secure the striker plate with four, three inch screws, and then install a doorway peephole viewer. Most burglars enter through the back doors, especially the ones with glass in them. Consider putting metal window grills over the glass. Consider the space in-between the door and its frame. Quite often, the crook can use a pry bar to torque the door right out of its lock, or pry the lock itself. If this looks like a vulnerability of your door, consider putting a metal guard over the lock. With those glass sliding patio doors, they can also easily be lifted out of their track, so use screws in the upper portion of the track to prevent the sway room for them to be lifted out of their track. Windows can be secured in a number of ways. Either by drilling a hole through both sliding parts of a window that have overlapping frames, and placing a 2" screw into the drilled hole, or by putting window locks on that need a key to open them. A cheap way around this would be to put screws in the window track itself to act as a window stop. Use multiple locks on doors. Using one of those chain locks that needs a key, plus a deadbolt, on top of the main door lock, will make any door that much more safe. Same goes for windows with multiple locks. Multiple locks, means a harder job for the burglar, and the name of the game is to frustrate his efforts. All outside doors and locks should have at best two sets of locking devices. Consider installing exterior lighting in key areas to light the most vulnerable doors and windrows. Putting lighting systems on motion sensitive detectors makes good common sense. This way, there is yet another thing for the burglar to deal with. Make sure the lights are out of reach from them so they do not have an easy time simply unscrewing the bulbs either. And put these sorts of lights on all of the blind sides of you house as well. Identify things in your yard that could be of use to a burglar. Are there things that they could use to smash a window? Is there a ladder lying around? Are there tools, such as shovels or pick axes at hand? A neighbor I know has all of these things on the wall of his shed in his backyard, and he lives in an urban area with its share of crime. To me, this is asking for trouble. Hide your valuables from plain view. I am sure we all have seen houses that resemble glass aquariums. One neighbor of mine has no curtains, and everything visible from the street! Name it, there is everything to be seen in her house: the fully stocked liquor cabinet, the stereo, home entertainment unit, everything. Get yourself a good set of thick curtains,and avoid using those sheer see-through curtains to prevent advertising your assets to would-be hoods! Consider investing in protective window film or window bars if you live in a high risk area. The common protective film for windows is relatively undetectable and strong enough to withstand impact from a baseball bat. Retailers of window bars have released a lot of low-key looking bars that blend in quite well into the look of your home. Do not leave mail in the mailbox for any length of time, or leave flyers or advertising paraphernalia in the door. This is a idea giveaway to crooks that you are not home. Use timers for lights inside your home, if you go away regularly from your home at night. Having different sets of lights turning on and off every few minutes can obfuscate the fact there is nobody home at the time. Having timers also turning other appliances, like radios and televisions off and on is useful too! For the same reasons that one shouldn't leave mail and adverts in the door or mailbox, one also should take care not to leave any outside lights burning all night into the day. If you use outside lights, either use a motion sensitive switch or put them on a timer. Set these sorts of exterior lights that are on timers to cast light as far as possible, perhaps even 25 yards. Consider putting lights that light the backyard on a switch too, that can be accessed from inside the bedroom. If you live in a neighborhood that has been plagues with home invasions, it is a good idea to create a safe room inside your home for you and your family. Make the inside of the house as safe as possible, by building a so-called "safe room". This room ideally should be in the middle of the house, be strongly secured with a metal door, and have a cell phone hidden inside just for emergencies. Then, this room can act as a command center from where you can keep yourself behind a metal deadbolted door, while calling emergency services. Engrave your valuables with an engraving tool, putting your name on them. Keep an inventory of your valuables recorded with a video of photographic record and stash it in a safe place. This will be invaluable when dealing with insurance companies as well. If you record it on a video cassette, label it with something innocuous, like "Lawrence Welk Christmas" or something like that. Even if your stuff is stolen, the visual aid of a photo or video can help law enforcement identify it. Don't stash all of your valuables in one place. Pick some of the best hiding places, and spread them out. Good places include: hollow table or chair legs, hollow plastic parts of shelving units, fake electrical receptacles, hollowed out banister spindles, inside the seat or armrest of an old chair, in the duct work, in a suspended ceiling, and any other offbeat unusual place. Be creative! This goes with tip # 17: photocopy all the contents of your purse or wallet. Make photocopies of all of your credit cards, front and back, and all of your identification. Then get yourself a rental of a safety deposit box at your local bank. Join or start a neighborhood watch program, if this is possible. If you are in an apartment building, then form this sort of thing with the others living on your floor. If you go out,whether to work or just about town, consider leaving the radio or television on, and preferably on a talk program. this, with the other tip of leaving lights on timers, can go a long way to confusing a would-be burglar. If you like animals, and don't have any sorts of allergies or similar issues, consider getting a dog. This is one of the best pieces of advice. In most cases the mere trace of a dog can thwart a burglar. A burglar who is prowling through your yard and finds himself stepping on dog droppings the size of his shoe will think twice about picking your house! Don't be fooled with those fake dog barking alarms, the predictability and sound of them will not fool any burglar who has any sense. A beware of dog sign is something that cannot hurt either. Most garages have doors leading to the house from the inside of the garage, and most often these are the least protected entrances. Give these doors the same consideration as you would your front or back doors! This last one is so obvious, but you would be surprised how many of my neighbors do it: do not leave home with the windows open! I live in a part of the world that has hot summers where temperatures often reach into the high 90s. I see every other house on my street, unattended with the windows open in the summer, as the folks are trying their best to live with heat. But as with other aspects of human behavior, trying to solve one problem more often than not just creates yet another problem. Again, be proactive here, close and lock your windows, and solve the problem of hot temperatures with an air conditioner. If that is not an option, then try to put window stops in place that prevent the window from opening anymore than a few inches, or get an alarm!